Regular mattress cleaning sounds a bit overwhelming. It’s necessary, though, since your mattress could contain dirt, traces of chemicals, oils, and other yucky stuff. For allergy sufferers, your mattress could even have pollen residue, causing your allergies to flare up. Our beds get used daily, so it makes sense that they get dirty over time. 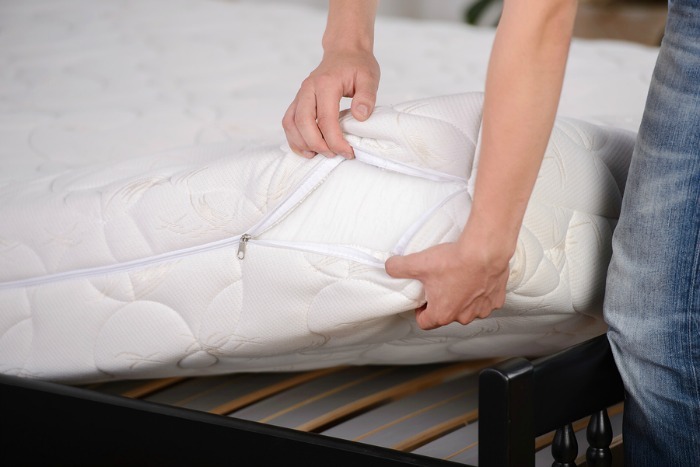 Remember the bed bug outbreak a few years back, cleaning your mattress regularly can help prevent dust mites and more. You need just three simple things for this simple mattress cleaning process. Actually, you might have all of these items in your house already, and won’t have to leave home! The essential oils are optional, but I do recommend using them if you’re not allergic to them. If you don’t have any on hand, then get some ordered and use them the next time you tackle deep cleaning your mattress. 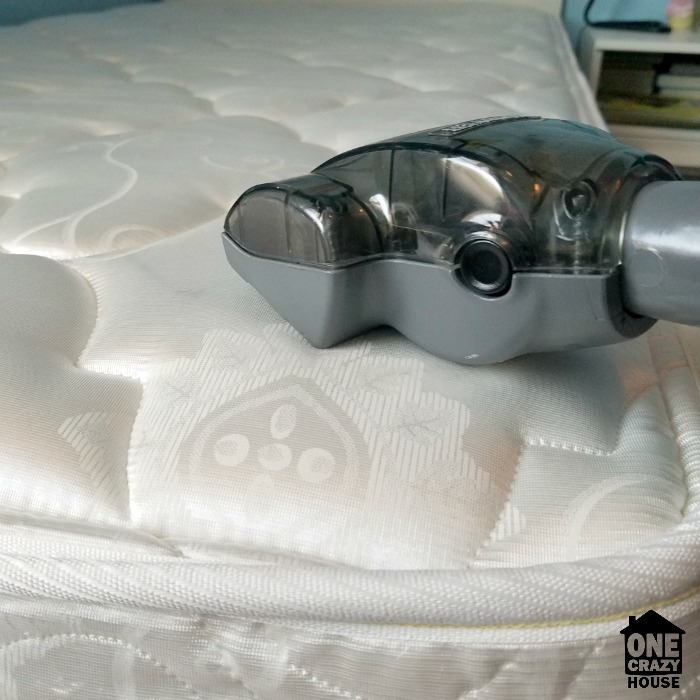 With a vacuum upholstery attachment, simply vacuum your mattress from top to bottom. This will remove any dirt, hairs, or other items on the top layer of your mattress. 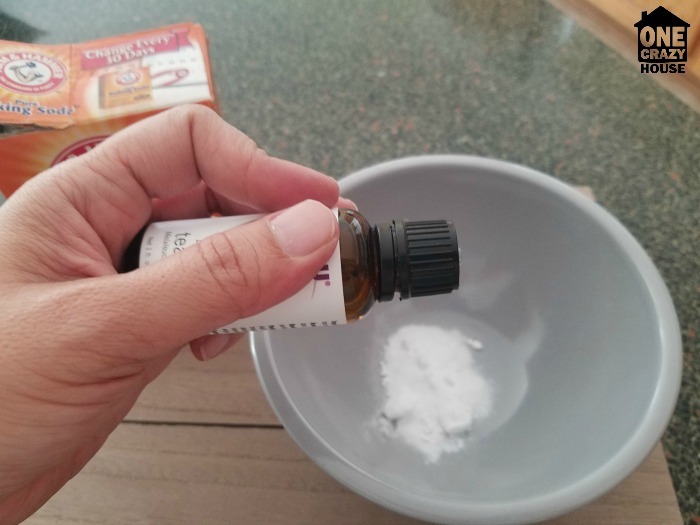 The mixture should be 2 cups of baking soda, but oops, I didn’t have enough on hand. Sprinkle the baking soda mixture over your mattress, and then gently rub it in with a scrub brush. This will help it to get deep in, and soak up any body oils and remove odors. Let it stand on your mattress for about 1-2 hours. Come back with your vacuum and start to vacuum over the whole mattress again, picking up all the baking soda you sprinkled over. That is all it takes to have a fresh and clean mattress. You can do this as often as you would like, I recommend doing it at least once a month. It is a great way to keep your mattress clean! I recommend using a waterproof hypoallergenic washable mattress cover. You can buy mattress covers that are soft and act just like a sheet. You simply put the cover down right over the mattress and then put your sheet over the top of the mattress cover. The mattress cover has a waterproof layer to help prevent any liquids from touching your mattress. Plus, it acts as a protective layer to the dust, dirt, oils, and other items listed above to actually get on your mattress! Simply slip it off and toss it in the wash. It makes it super easy, and you don’t have to fight scrubbing tough stains out of your mattress. 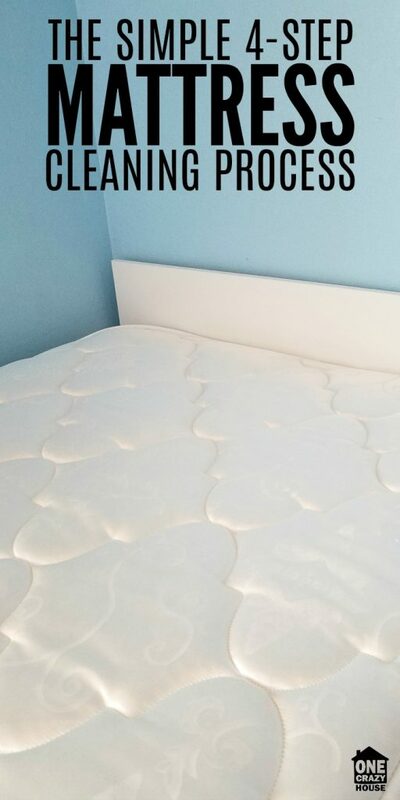 Using a washable mattress cover to help protect against accidents and spills, and regularly using the mattress cleaning method above will help ensure you have a clean mattress! Using a washable mattress cover to help protect against accidents and spills, and regularly using the cleaning method above will help ensure you have a clean mattress!